The idea that family mediation should be practiced as a separate profession was advanced in 2012 when a group of the most experienced mediators in America founded the Academy of Professional Family Mediators (“APFM”). The two primary goals were: (1) a forum for the exchange of ideas for an advanced level of mediating in family cases; and (2) a means to set up standards of practice and a credentialing program for professional family mediators. The first APFM conferences in Cape Cod in 2012 and in Denver in 2013 were exciting events that revealed how far family mediation had progressed since it became a national movement around 1980. But, interest then started to decline, as little progress was made toward the second goal, of credentialing. To get this back on track, a separate and independent 501(c)(3) nonprofit organization, the Professional Mediation Board of Standards (“PMBS”), was established in 2015. PMBS has functioned actively since that date with bi-weekly video conferences. Much of its focus has been to set up a system for credentialing approved by a body called the National Commission for Certifying Agencies (“NCCA”). No application, to date, has been submitted to NCCA, mainly because PMBS has not yet raised the funds to finance a viable program for credentialing family mediators. PMBS has not made it a priority to define the knowledge, skills, experience and personal attributes required to be a “professional family mediator.” This will be the second step toward credentialing. Meanwhile, APFM has been going through a process of revitalization, especially under the energetic presidency of Virginia Colin. PMBS has an experienced, qualified membership that can provide the mechanism to move forward with credentialing, once donor and mediator interest reaches a level where financial support becomes available. All our talk about credentialing, however, obscures the fact that there is a far better reason for considering family mediation as a separate profession. Family mediation becomes an even more fascinating, challenging, and satisfying professional experience when it is carried out at an advanced level. As a family mediator develops an active level of curiosity about family mediation as a profession, the reasons for making it a lifelong commitment are even more obvious. To date, family mediation has mostly been practiced by lawyers, mental health professionals, and financial specialists, as a sideline. Each of these professionals adapts his or her practice to mediation, with some add-ons. This misses the complexity of a wonderful field that offers a lifetime learning experience. When we treat family mediation as a separate profession, it opens a new world of knowledge and skills (and even spirituality) that clearly provides the basis for a challenging professional career. A family mediator usually starts with a profession of origin, a basic mediation training course, and, sometimes, an apprenticeship. From these, we build on our experience with the cases we handle, and with conferences where we interact with other mediators. We need a consistent way to stay in touch with all the exciting things that are going on among family mediators throughout the United States and in other countries, such as the United Kingdom, Canada, Australia, the Netherlands, and Singapore. 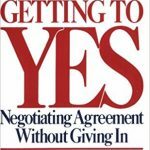 The starting points for most mediators are the core ideas from the 1981 bestseller, Getting to Yes: Negotiating Agreement Without Giving In, by Roger Fisher & William Ury. Their three principles are: (1) Focus on concerns or interests rather than on positions; (2) Make it an exercise in problem-solving, and (3) Find objective options to resolve the dispute. Although these ideas have been used successfully for 37 years, they still frequently get neglected in adversarial negotiations between family law attorneys. 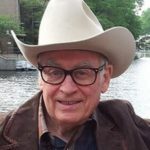 Far too much family mediation, especially when conducted by mediators who are lawyers, still seems to have as its goal to get an agreement that approximates what a judge might have ordered. This does accomplish the primary objective of keeping the case out of court, but such a focus can become a problem in those cases where it undermines the possibility of an even more creative and lasting agreement. Familiarity with the range of other alternative dispute resolution (“ADR”) techniques that have been developed since the early 1980’s. The ability to consider future-directed options that may do more than just resolve the case at hand, such as financial and/or vocational planning, and the means to promote future parental cooperation. The involvement of other impartial professionals in what may be called “team mediation,” including impartial child specialists, vocational counselors, business evaluators, financial planners, and even mental health coaches. A practical plan for the exchange of financial disclosures tailored to the actual information needs of the parties. Awareness of the variety of useful ideas developed by Bill Eddy for managing negotiations with high-conflict individuals. 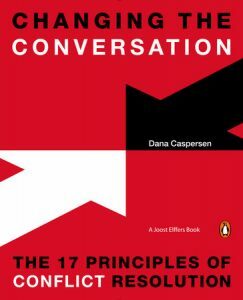 Ideas from what I consider the best contemporary book on conflict resolution, Dana Casperson’s Changing the Conversation: The 17 Principles of Conflict Resolution. 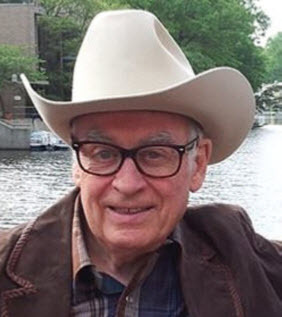 Structural and process ideas in recent books by Forrest “Woody” Mosten and his collaborators, which cover family mediation, collaborative family cases, and unbundling. Identifying the levels of difficulty among cases by observing how well or how poorly the parties negotiate with each other. Knowing how to take advantage of the effective styles of client negotiating, and how to move the ineffective ones in more positive directions. Techniques to discourage exercises in dredging up fault and blame, since these often only have the effect of focusing discussions in the wrong direction. Setting the tone of civility, by means of empathy, attention, and respect. Being aware of the stages of the divorce process and how these affect the ability of each party, during that process, to maintain stability and to negotiate effectively. Recognizing how the statutory framework of divorce law often embodies criteria for discretion and flexibility, as well as acknowledging the frequent situations in which courts just don’t have the tools to completely resolve many relevant issues. Appreciating the possibility of creative win-win tradeoffs that rearrange the possible settlement terms to better meet the goals of each party. Educating mediation clients, when appropriate, by means of legal, financial, and any other practical, impartial information during the mediation process, as well as being aware of their limitations. Keeping pace with ongoing changes that affect the mediation process, such as: (1) new research on co-parenting; (2) legal changes, such as in the tax laws; and (3) technological developments, such as video conferences. Being able to draft agreements or memoranda of agreement in modern, readable language that accurately reflect the parties’ agreement, and may also be used during the process to fine-tune those provisions. The above list illustrates some of the principal elements of professional family mediation, but this is, by no means, an exclusive list. Most of the above items are not new. A mediator becomes a professional when his or her practice takes account of the full scope of available professional tools. A carpenter or a designer may be quite skilled, but only with the proper tools can he or she fully enjoy the excitement of a truly creative professional practice. Finding and using the proper tools requires an active curiosity and a lifetime commitment to professionalism. Many family mediators, especially those who are open-minded and experienced, already make many of the above strategies part of their regular professional practices. But, the above list far from exhausts the ways in which family mediators may make their practices more professional. 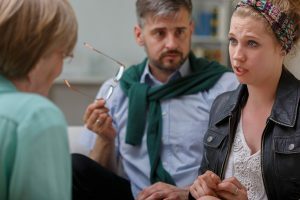 Although this article is written for professional family mediators, there is absolutely nothing that says that these ideas may not also be used by collaborative professionals, or by negotiating attorneys in conventional family law practice. Many already are. We need well-constructed advanced mediation training courses to review and illustrate the concepts, strategies, and skills that reflect the “state of the art” of family mediation. As these become more uniformly recognized among family mediators, it will then become possible to define the profession at its separate and advanced level and to establish programs to credential the mediators who meet those standards. In establishing any credentialing. we also need to be aware that the most successful family mediators have skills that depend on their personal attributes and experience. These must be integrated with the necessary academic knowledge in any such credentialing program. Mediators need not “unlearn” ideas coming from their professions of origin, although some refocusing may be appropriate, at times. A basic knowledge of the structure of one’s state divorce law does remain an essential requirement for anyone who does divorce mediation. There is also room for good faith disagreement over what the scope of “basic knowledge” means in this context. Family mediation had an exciting, even exhilarating period in the early 1980s, during its founding years as a national movement. It is time to recreate that excitement as we move family mediation to a new level, namely, a level of its recognition as a fully established and separate credentialed profession. And, this can be true even for a single professional, who practices two separate professions out of the same office.